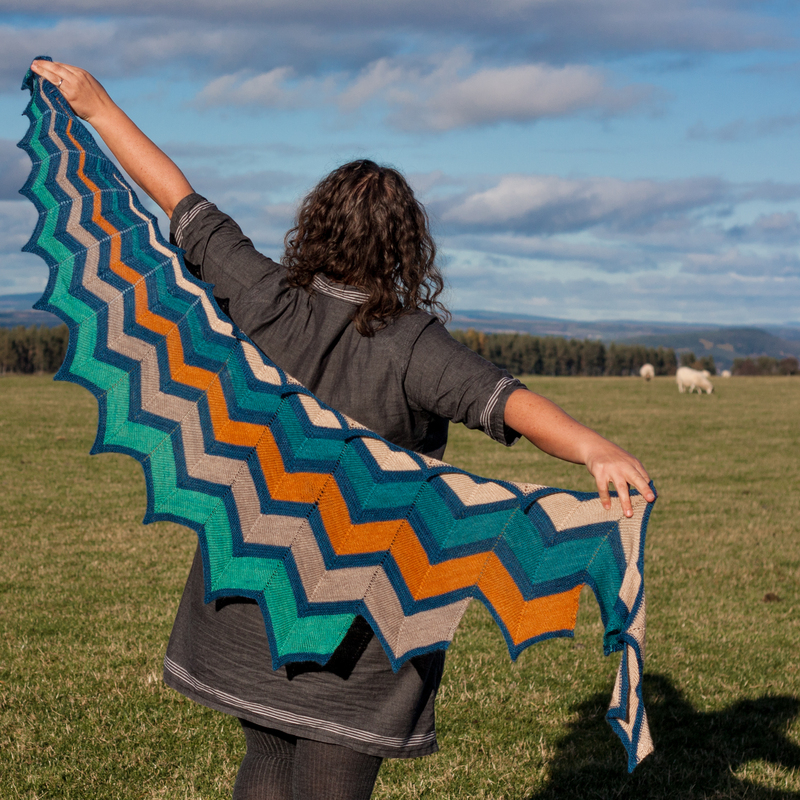 Classic chevrons crackle with unexpected energy in this asymmetric shawl. Short rows and strategic decreases allow each stripe to widen out, from a leading point on one side to a jagged edge on the other, adding up to a perfectly balanced and perfectly irresistible pile of colour. Monar makes the most of an indulgent NinjaPops set together with one full skein of the main colour, using up every scrap and showing off camel silk’s exquisite gleam. Wrap yourself in luxurious lightning and feel like a very glamorous superhero!